By noon and a couple tweets back and forth, I had claimed my chance to visit the beautiful 20 ft. tree of Dana from BrokeAssBride.com and gather a basketful of Kadota Figs. In my excitement, I took a few that were not quite ready for jam making, so I cooked up a batch of FRIED GREEN FIGS. 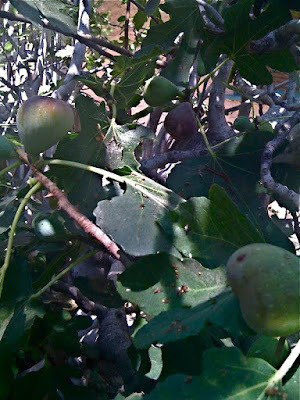 I've been a long-time lover of figs; my grandma's yard had an easy 5 ft. "grab-a-snack" tree right at her front door. And by the age of 8 (due to my Southern Baptist upbringing) I had already sewn play-clothes from the fig leaves (ala the guilt-ridden Adam and Eve from the Bible.) Don't try it; fig leaves dry so quickly and your green twirly dress turns to dust. Dana's tree was heavy with figs, syrup, sunshine and...GIANT June Bugs that were not happy to share, and loved dive-buzzing at my head. 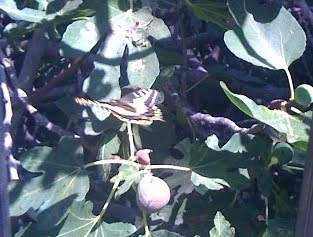 And even though this picture is not great, I had to include my iPhone capture of a Monarch butterfly in flight. 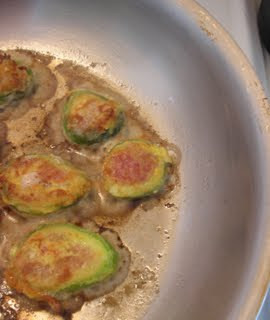 But, keeping with my southern touch, I used the green figs like I do green tomatoes and it worked out fabulously. First I soaked the green slices in heavy cream instead of the egg and milk combo. 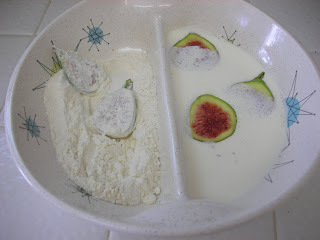 Then, I very lightly dredged the slices in a mixture of seasoned flour. After shaking them off, I placed them in a pan with a few tablespoons of oil, heated on med/high, and fried them for just a couple minutes on each side. 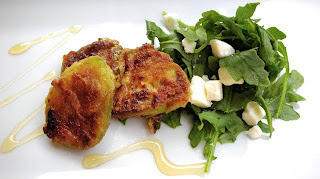 I served the petite Fried Green Figs with a Wild Arugula and Feta Cheese salad, drizzled with Honey Vinaigrette. 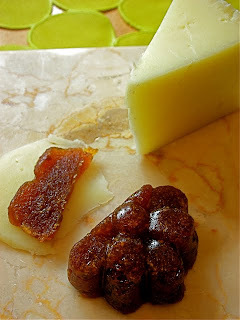 Figs are great for all ages because of their high concentration of vitamins - and the seeds help in digestion. They're one of the first fruits to be dried and stored and have been cultivated since around 5,000 BC. They are the most mentioned fruit in the Bible, loved by Cleopatra, talked about by Mohammad and mentioned in Homer's Iliad. As promised, I will be giving Dana @brokeassbride a jar of Fig & Fennel Jam in exchange for her generous tweet that turned into a "Fico Fantastico". I'm so glad it worked out! Can't wait to taste that deliciousness! YUM. I love that his first line is "junebug on a fig tree". great story except the bug part. I am a big fan of you and BrokeAssBride!!! The fruit paste looks yummy too. 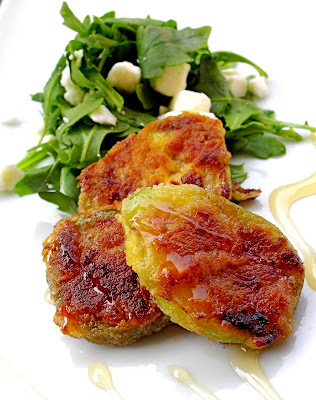 now that's cool...fried green figs! 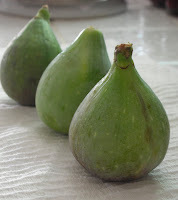 Any chance you'd be willing to share your recipe for Fig & Fennel Jam? So, there's a LOT of jam 'round these parts. 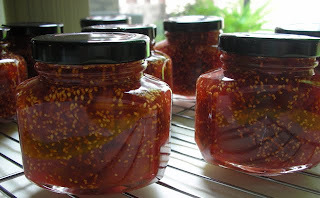 If you'd be willing to share the recipe or swap jars, I'd be one happy jam-making camper. Thanks!